In 2010 I changed going to the dentist I had gone to all my life as he was retiring. I am 62 now and I wanted to go to someone that was closer to my home. My insurance gave me a choice of dentists. I went to my first appointment and my new dentist said I needed 4 crowns on my bottom back teeth replaced. He said they were over five years old, and they had decay. They had been on many years. Same with the four front teeth but he said he could put on whiter crowns but I would wait till the new year for more help from the insurance. I had the new crowns on my bottom teeth crowned in 2010 with CEREC porcelain and paid an extra $150.00 per tooth that they did not charge the insurance, just me. Now I find out that all porcelain crowns are usually put on just the front teeth. Then the dental office said the front 4 were pre-authorized by the insurance. So I had all 8 front teeth prepared and got temp caps and waited for my crowns. They came back and he cemented them on. Then problems started. Besides finding out the work had not been pre authorized the back of one of my front teeth chipped off. I went in and he ground on it and sent me home. The next day half the tooth fell off. My husband left work and took me back and requested he redo both front teeth which he agreed to do. So I went back to the lab for color match again. The lab told me that they had not made any mistake on the first crowns and they were not very happy about it. So when the new crowns came in they were very thick on the backs and the dentist had to grind on them. After he ground for a while he stopped and said he could not grind anymore as it was getting too thin. So I went home and realized that everything I ate got stuck in between the two teeth. He said he would check with the lab but I would probably have to pay them to remake the crowns. I was shocked. A month went by and no word back. I finally called my insurance and they said to file a complaint. They did an investigation, sent me to a different dentist that said my bite was horribly off. 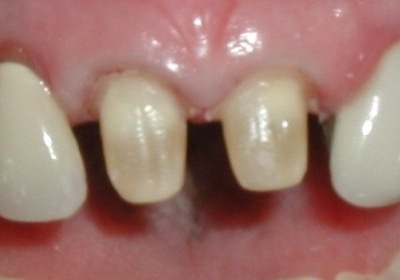 The insurance finally said there was not enough evidence to show he did poor work on my front 2 teeth. Then came a letter from my dentist that he would not see me anymore. I did not want to go back to him either but what about the problem and what about any guarantee on all the work previously done? I went on until it was time to go back for my checkup. I decided to go to a dentist that a friend went to and loved. He did his checkup and told me the blackish color on some of my new crowns was micro-leakage and bacteria under the crown had caused that. When putting on the crowns everything has to be as steralized as possible. So once again I filed a complaint with the insurance. In the meantime one of my front crowns broke off. I added to my complaint my tooth breaking off. So now I am waiting to hear back from the insurance again. This new dentist emailed his chart notes of his work. He did two root canals and crowns on my upper back teeth and he did not use all porcelain. He also included pictures of my teeth with the micro-leakage and the gap between my two front teeth and my bite being off with his recommendation. So I am waiting to hear back from the insurance and trying to decide whether or not to get an attorney involved as the insurance will only recover the money they paid if they agree with my complaint. In the meantime I have a temporary on my front tooth. This has been a nightmare. Will you please give me your thoughts on this? If you go to a new dentist who says that all of a sudden you need a lot of work, something is wrong. 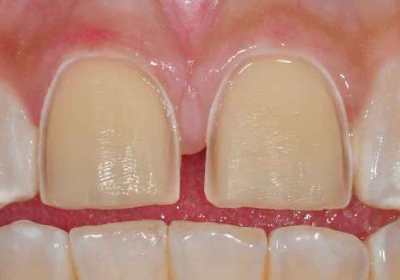 Frequently, the old dentist was negligent in either not diagnosing correctly or in doing patchwork dentistry rather than comprehensive dentistry. But it could be that the new dentist is taking advantage of you. If that happens to anyone, I would recommend getting a second opinion from a dentist you know is up-to-date. Don’t rely on your insurance network – find another dentist on a private pay basis, a dentist who has a modern, clean office, that appears to be high quality, and get a second opinion and compare notes. Say as little as possible about your situation and nothing about what either dentist said. Don’t even identify the dentists, but make it clear that when you have the work done, you are going to use a dentist in your insurance network. You’re just looking for an honest opinion from a dentist you feel is up-to-date and who you know has no stake in the outcome. If you can take copies of your x-rays, do so, but remove any identification of the dentist. If you have to, just pay for additional x-rays. It’s worth it, to get to the truth. Another problem people have is relying on dentists in their insurance network. These are not usually the best dentists. The dental insurance company usually picks them because they are the cheapest. (Read more about preferred providers here.) And while I am not in a position to say whether or not your crowns needed to be replaced, I am suspicious, from what this dentist said about the crowns being over five years old, that the dentist was merely taking advantage of a known insurance company standard that they will pay for replacement of a crown after five years, and maybe there really wasn’t any decay. It appears that you were victimized by this dentist and all the crowns that you may not have needed and the poor workmanship. And if that is the case, I would seek some compensation from this dentist. 2. file a complaint with the dental board. I would also see if the dentist who examined the faulty dentistry would stand behind you on this dispute. That is key to getting any settlement from the dentist – having another dentist who can vouch for the faulty work. If the dentist will settle with you, hopefully you can avoid going to court. But if the dentist resists, then I would talk to a lawyer. About using porcelain crowns on back teeth, that isn’t an issue here. There are porcelains that work well on crowns on back teeth. I have a CEREC all-porcelain crown on one of my lower molars and it works fine. It depends on the strength of your bite, the position of the tooth, and the type of porcelain used.